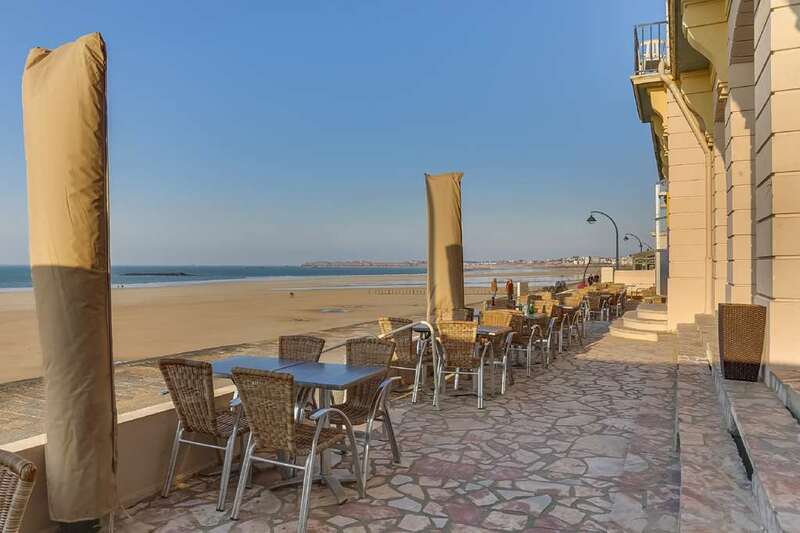 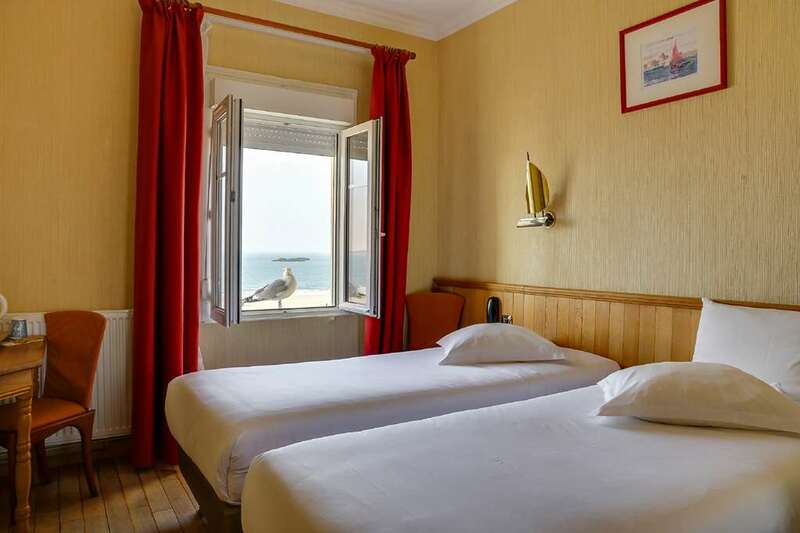 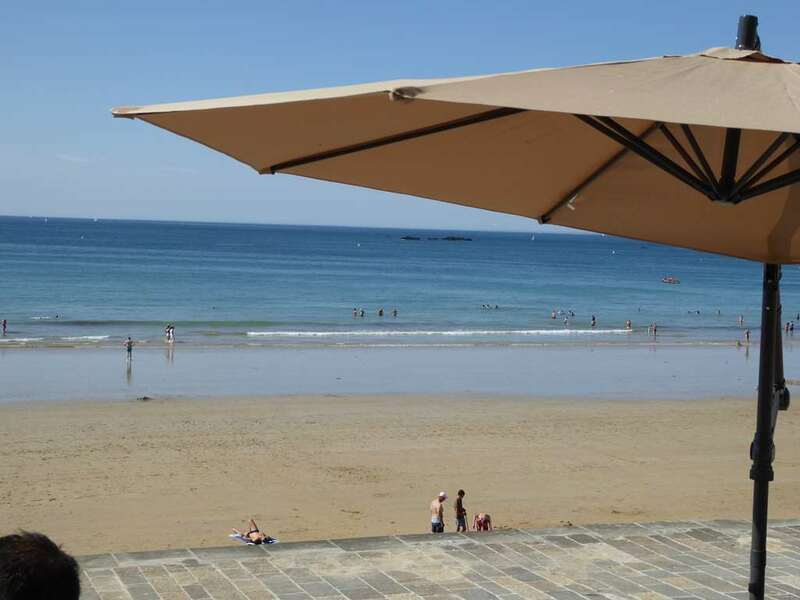 Hotel Kyriad Saint-Malo Centre - Plage is a 3-star establishment located on the pedestrian dyke, with direct access to the Sillon beach. 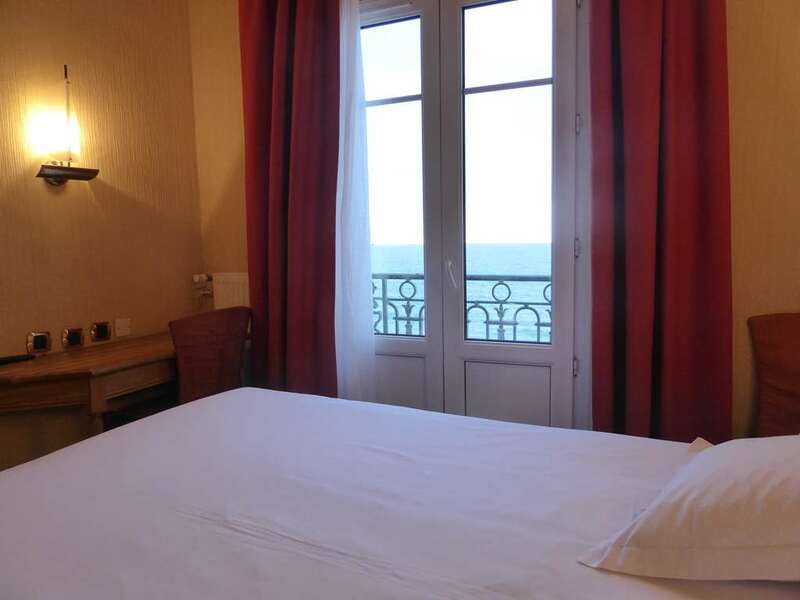 We have 56 rooms, including 27 with a view of the water (available only on request by contacting the hotel). 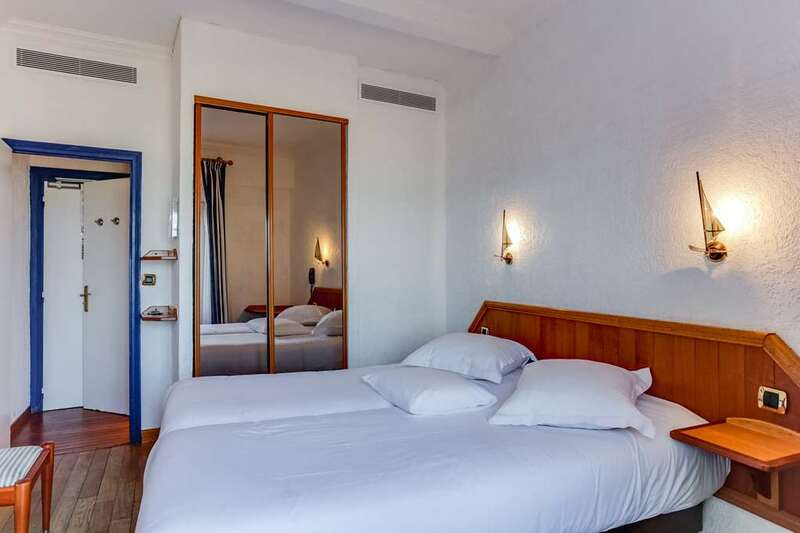 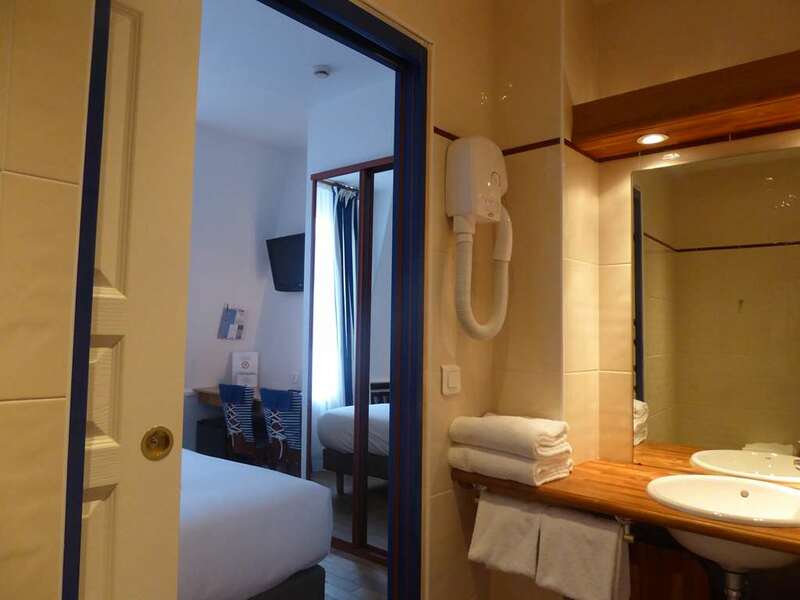 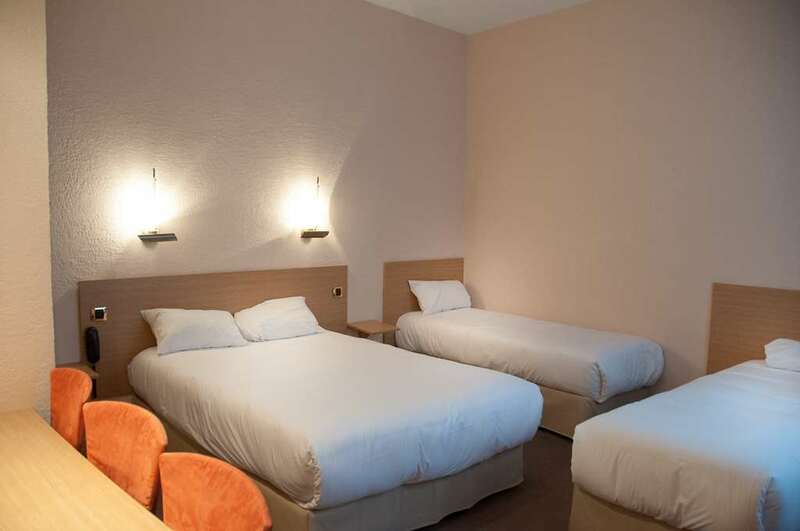 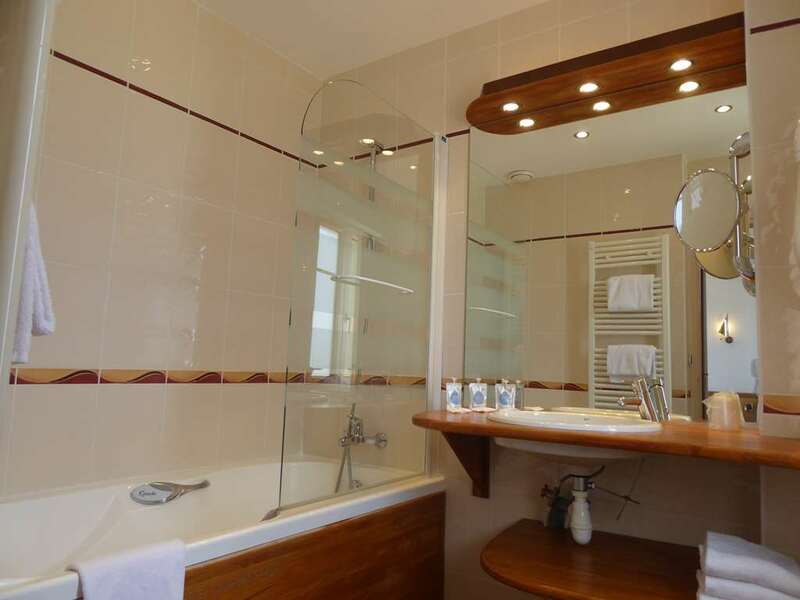 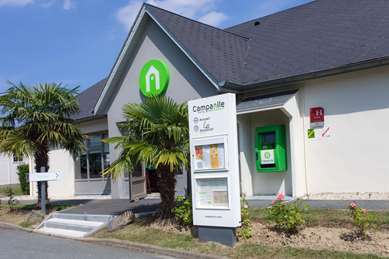 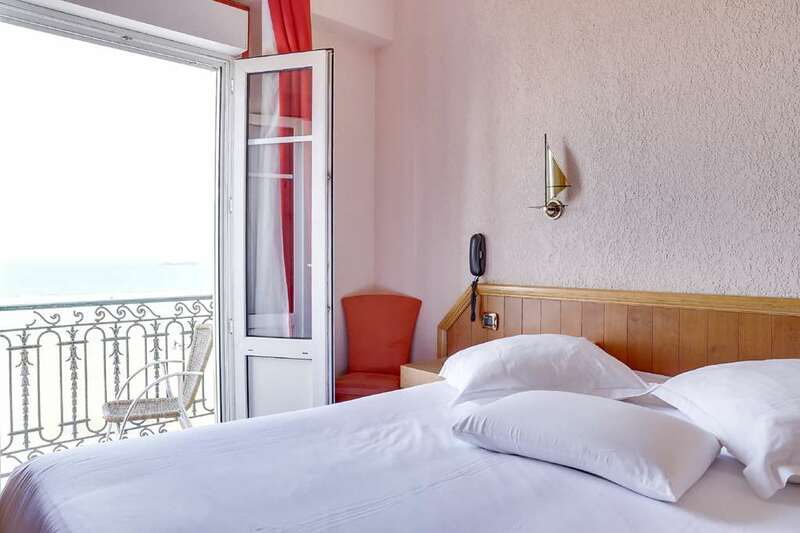 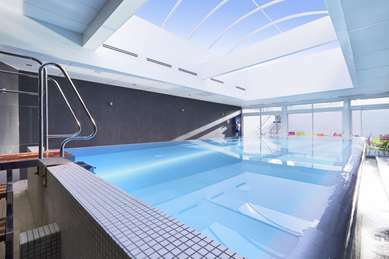 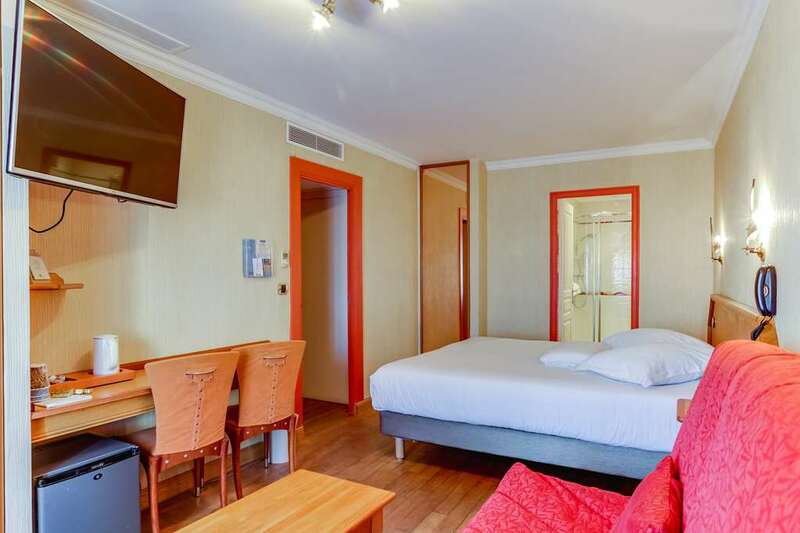 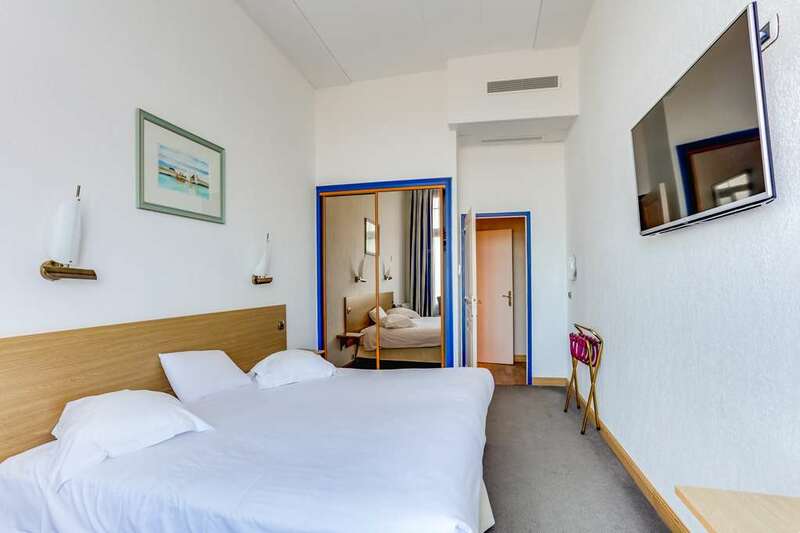 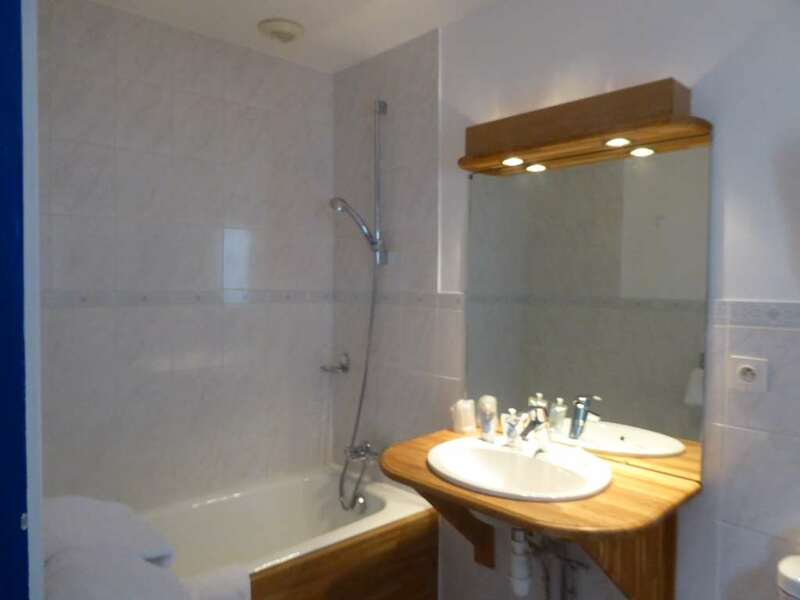 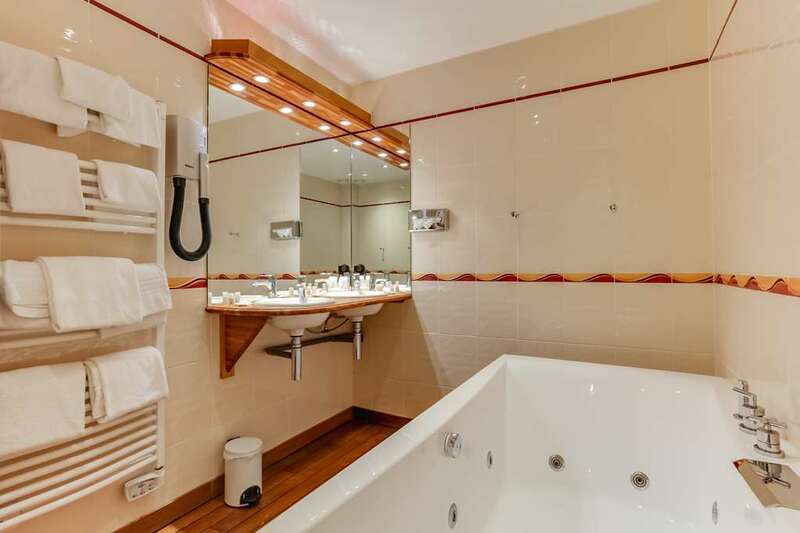 The hotel is ideally located about half a mile from the intra-mural city ramparts, close to the Thermes Marins thalasso spa (about a quarter mile away), the SNCF train station (just under half a mile) and the ferry terminal for excursions to Jersey (1 mile). 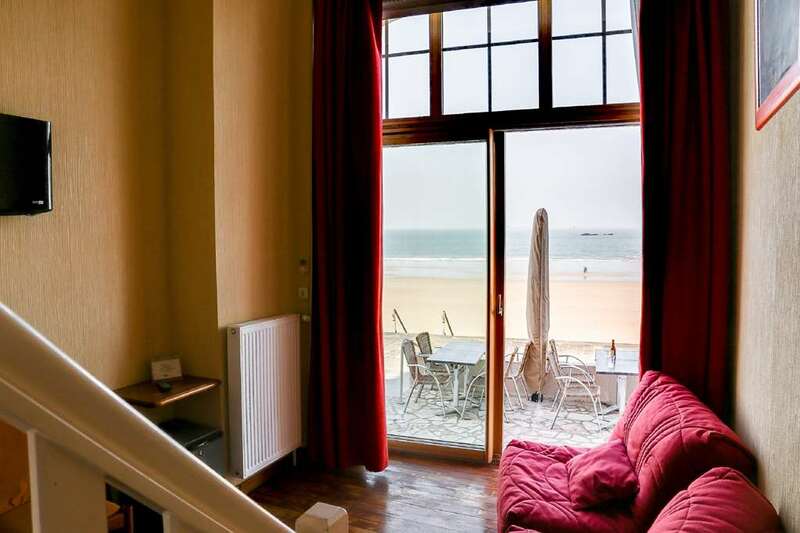 Hotel Kyriad Saint-Malo Centre - Plage offers a breakfast buffet in the lounge with a view on the water. 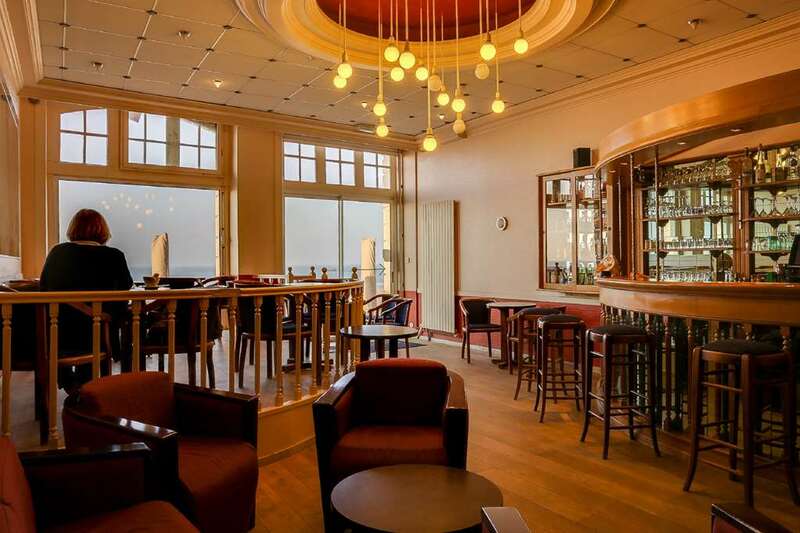 It also has a bar and terrace with a view on the water. 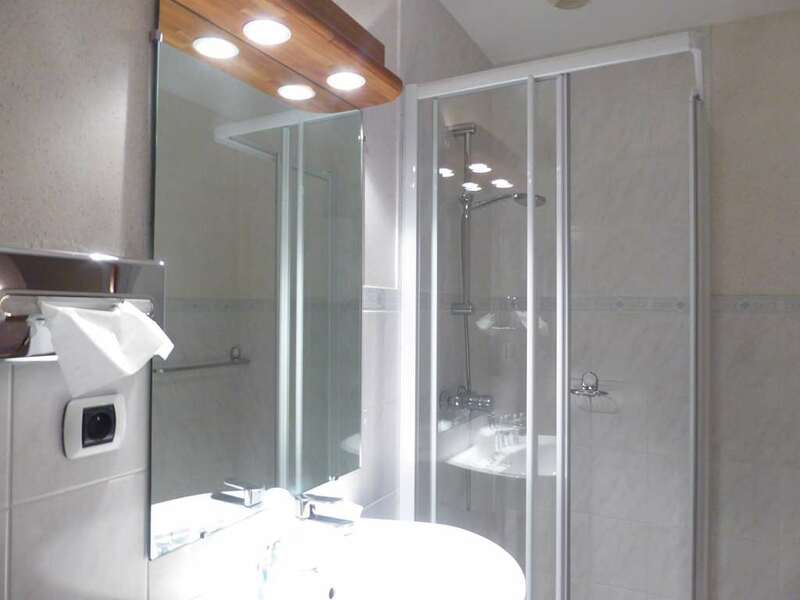 All rooms are accessible by elevator. 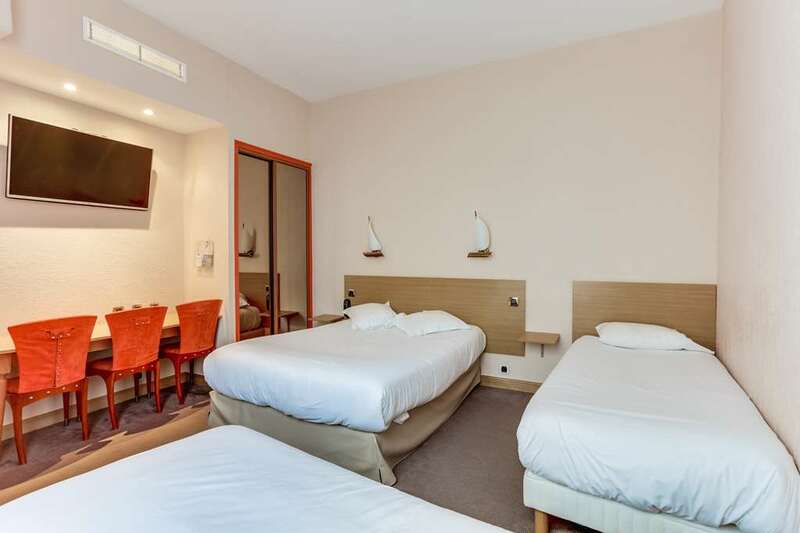 They are equipped with a flat-screen TV, private bathroom, and free Wi-Fi connection throughout the hotel. 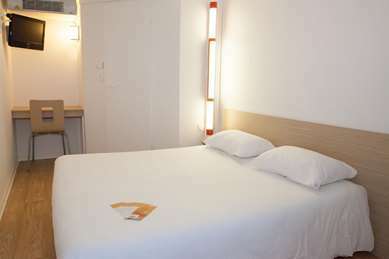 Parking is free and unlimited in the street (possibility of a parking garage upon reservation by contacting the hotel). 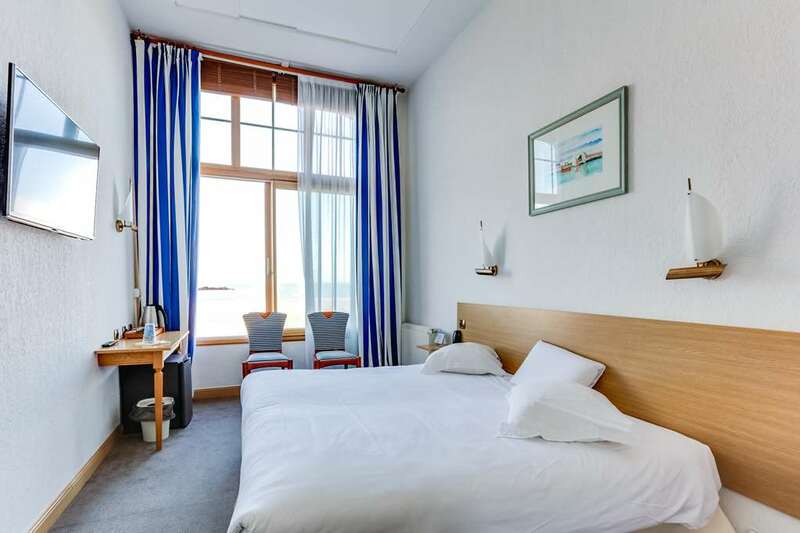 We have 56 rooms, including 27 with a view on the water. 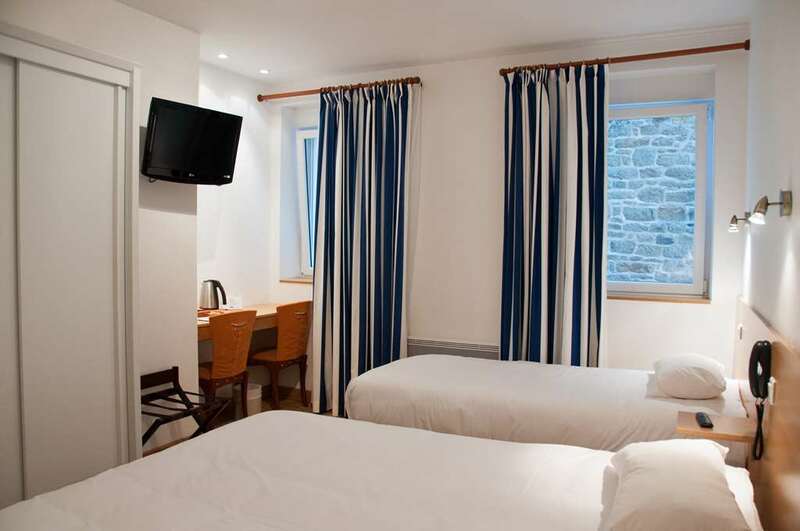 We offer classic rooms for 1 or 2 people, and family rooms or apartments that can accommodate from 3 to 6 people. 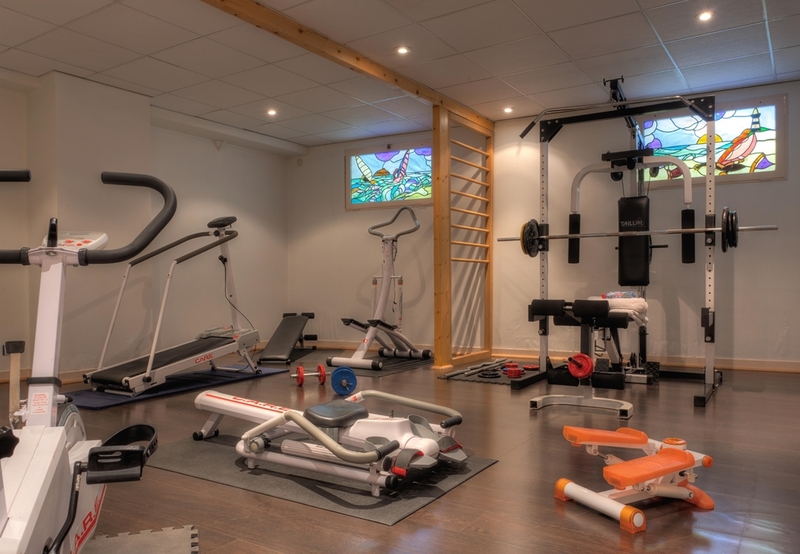 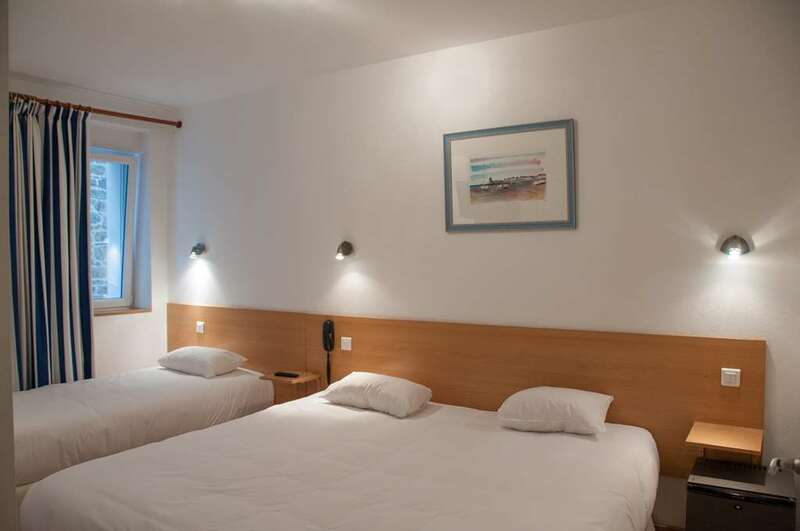 The main lobby as well as 2 rooms are specially adapted for people with reduced mobility. 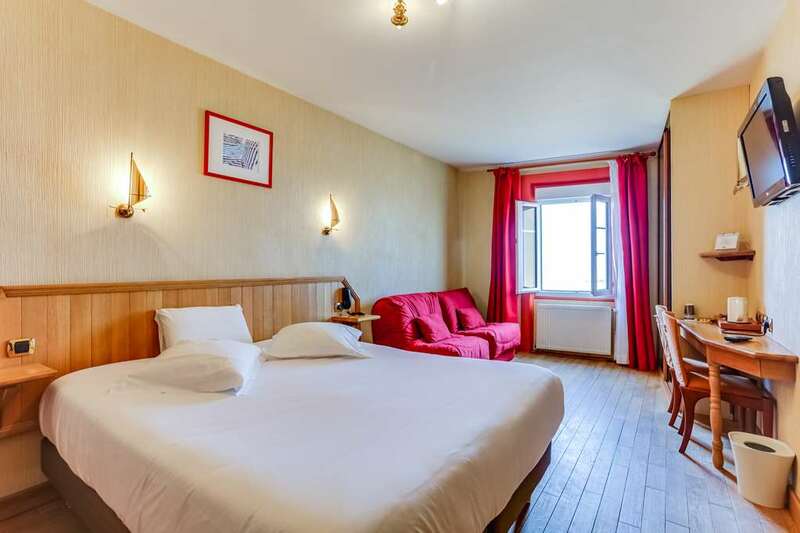 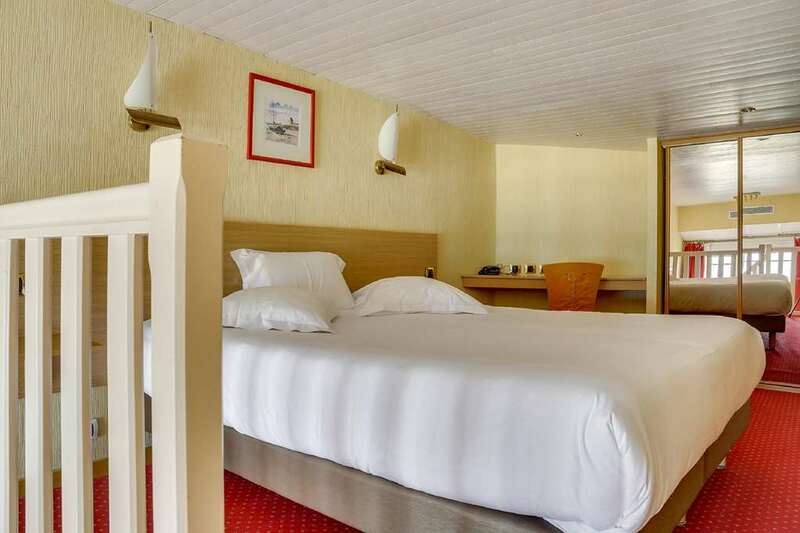 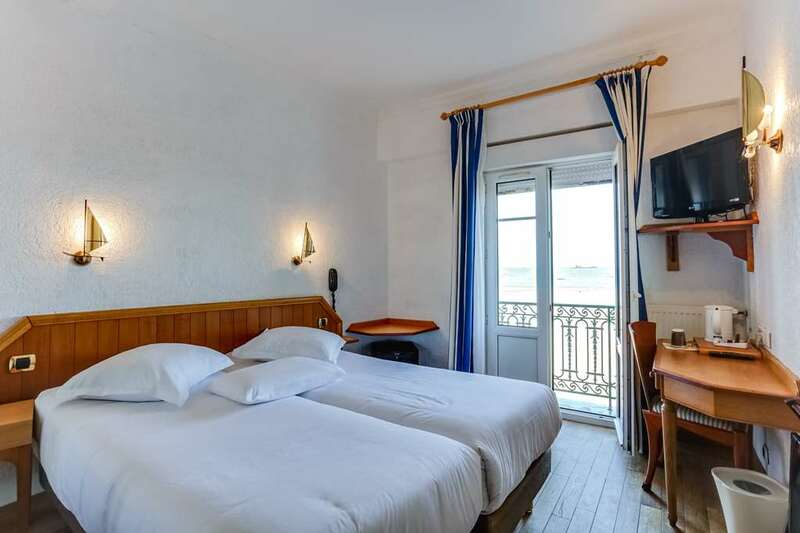 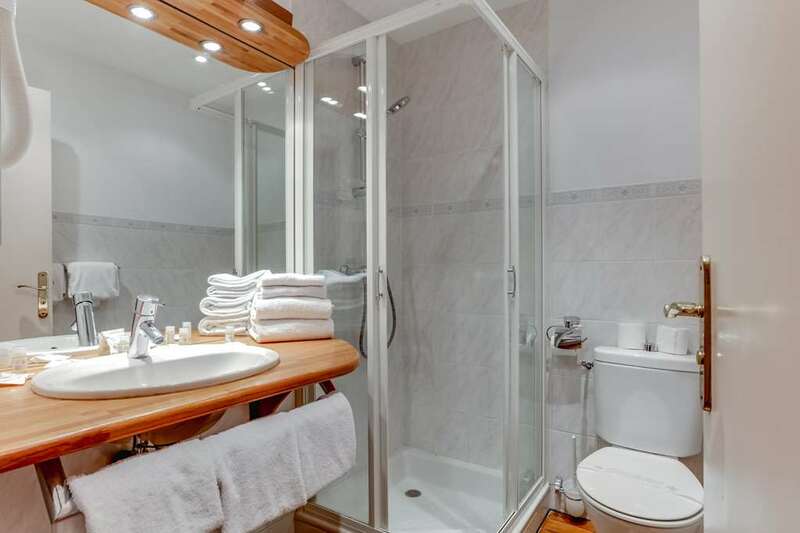 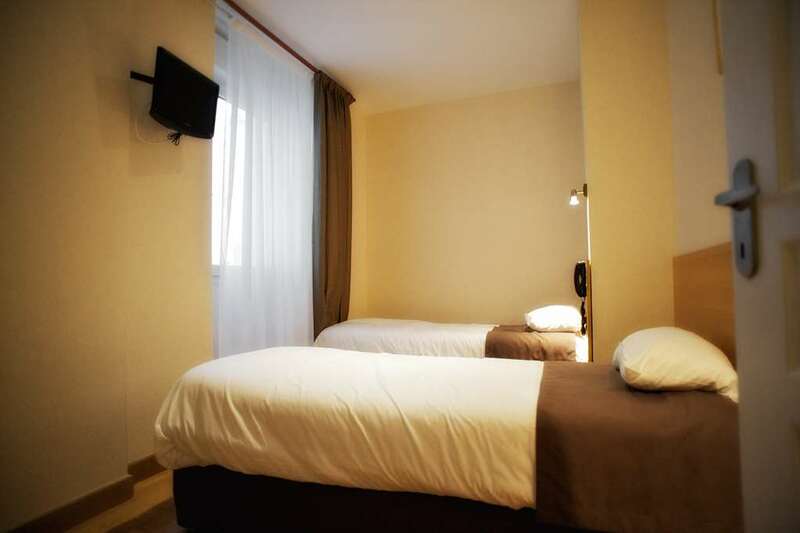 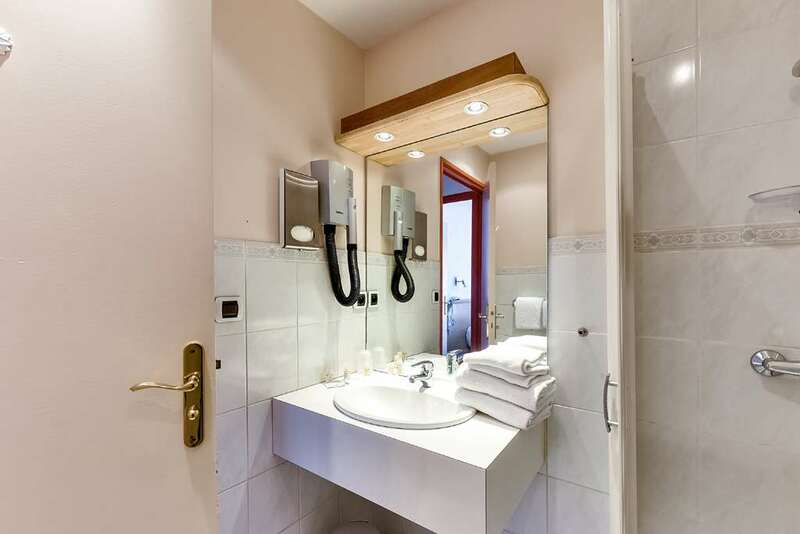 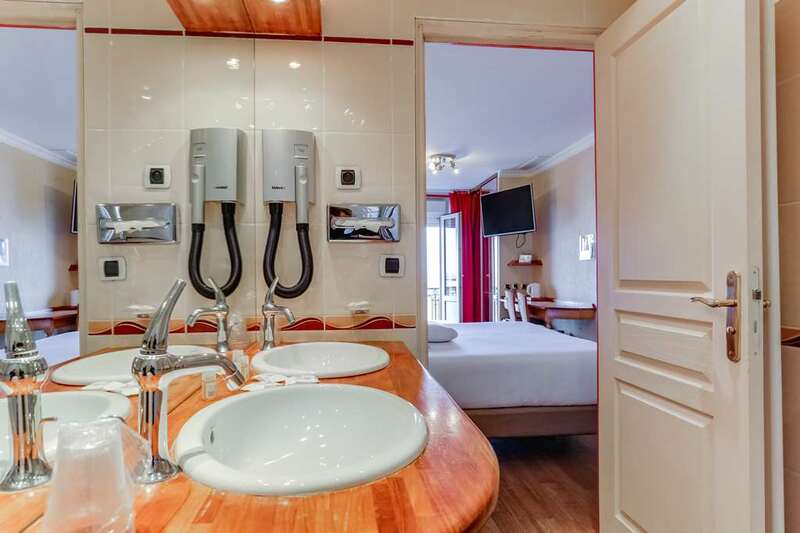 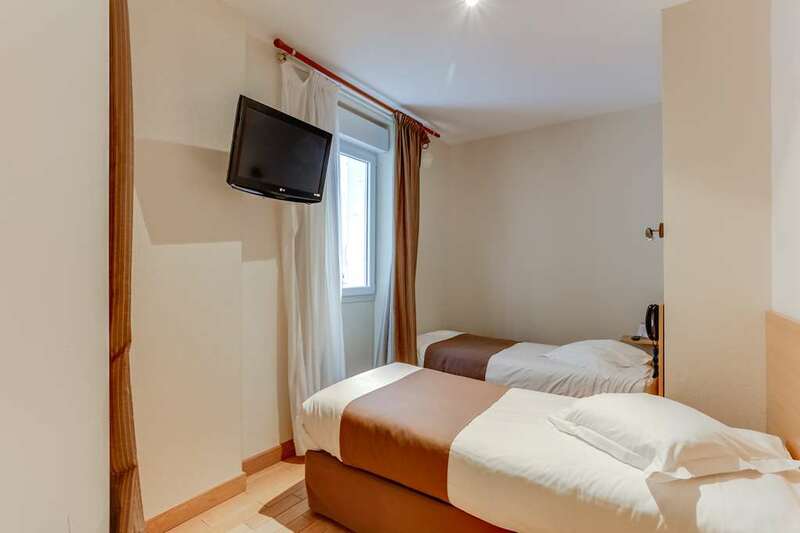 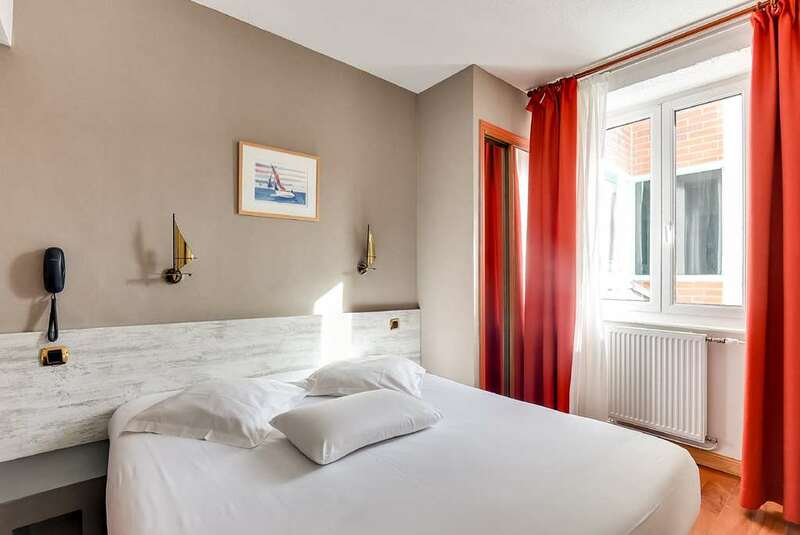 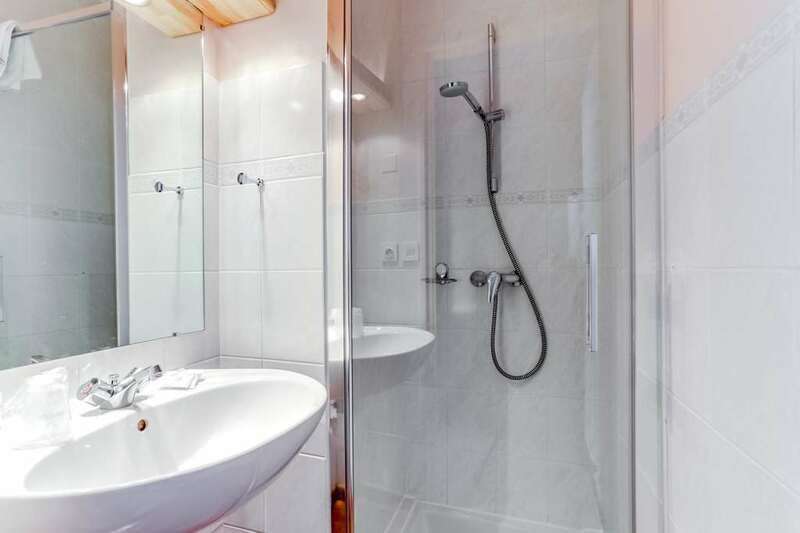 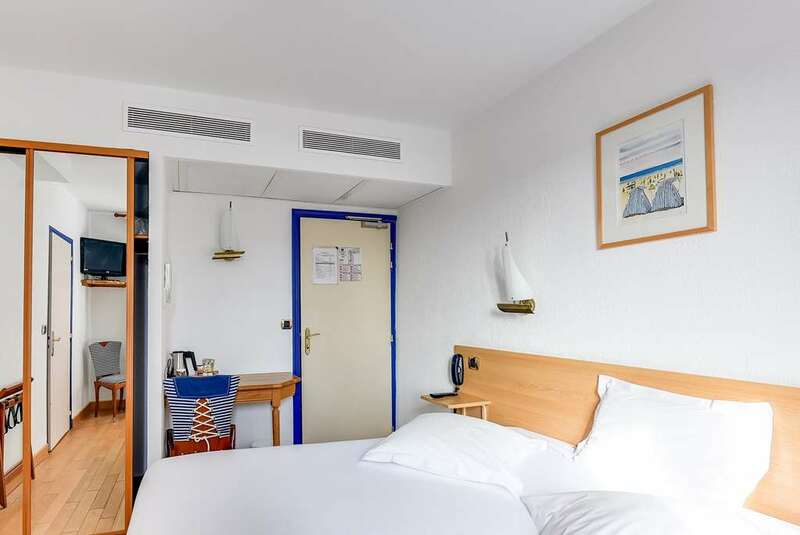 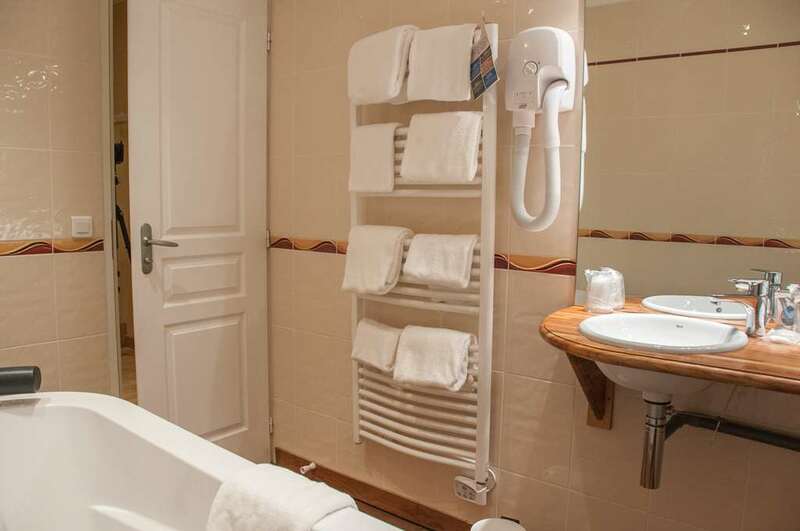 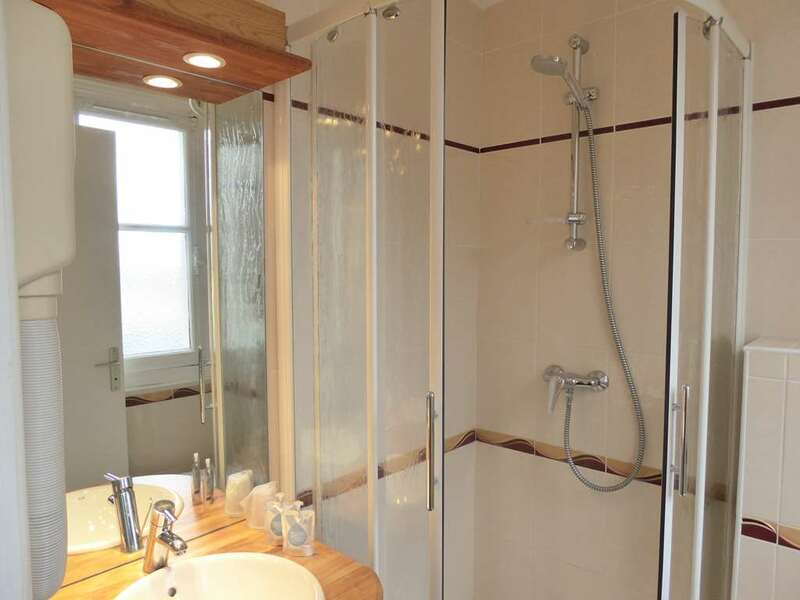 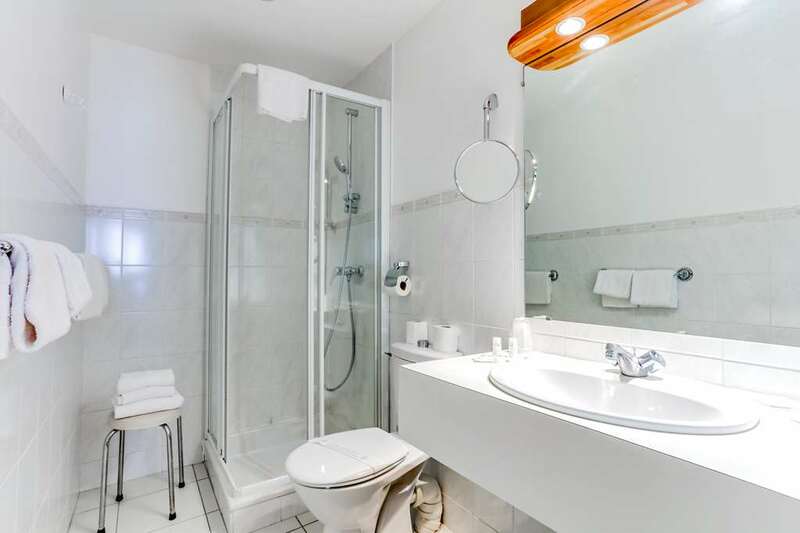 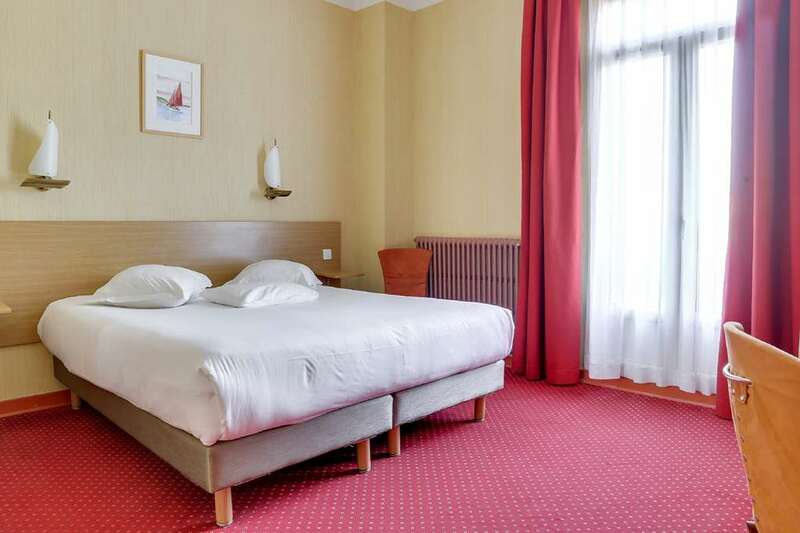 Our rooms are equipped with a flat-screen TV with Canal+, CanalSat and TNT channels, as well as a private bathroom with bathtub or shower and a hair dryer. 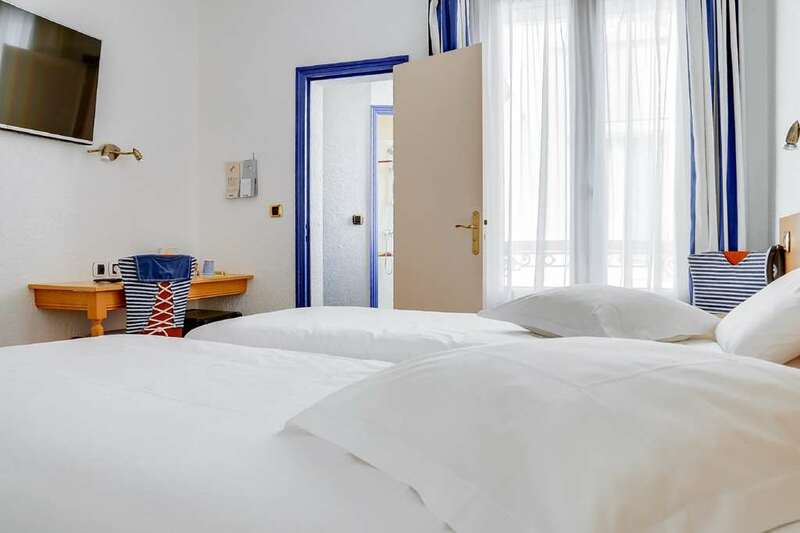 You will benefit from free Wi-Fi access and a courtesy tray with kettle, tea, coffee and cookies that are compliments of the hotel. 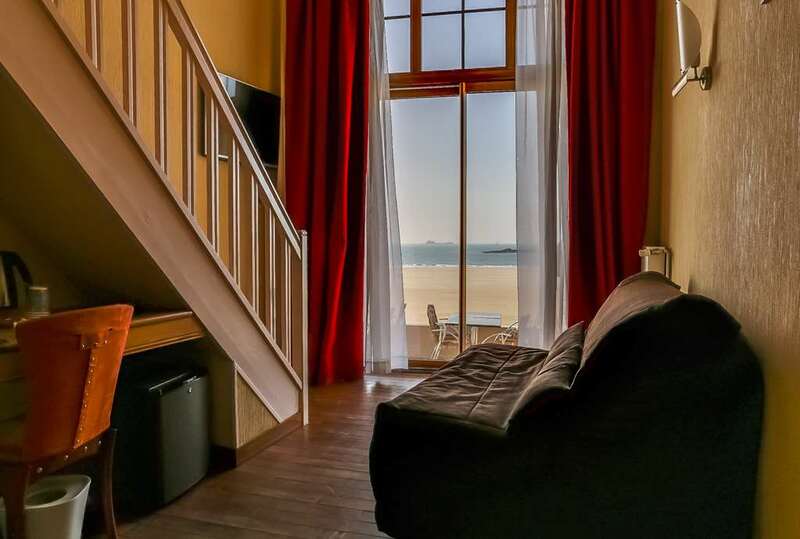 Breakfast is served as a buffet in the lounge, with a view on the water. 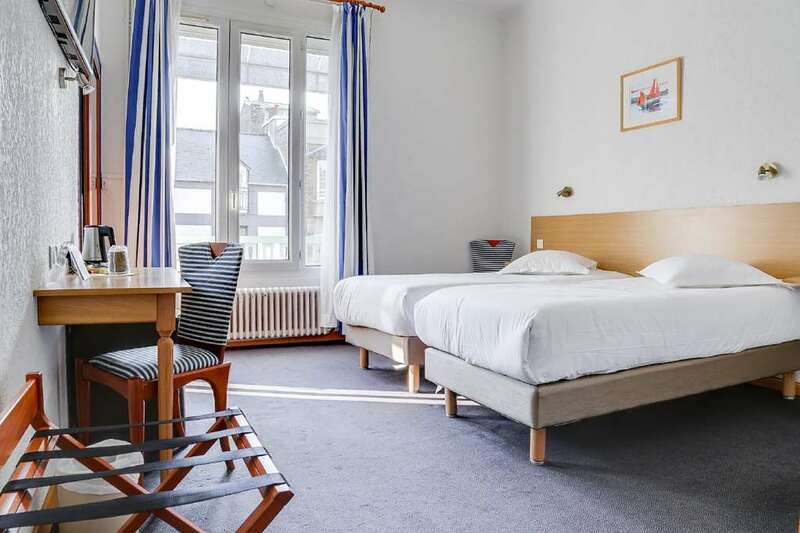 Between 7:00 am and 10:30 am we offer: Danishes, hot drinks, fruit juices, fruit salad, dairy products, cold meats and fresh fruit. 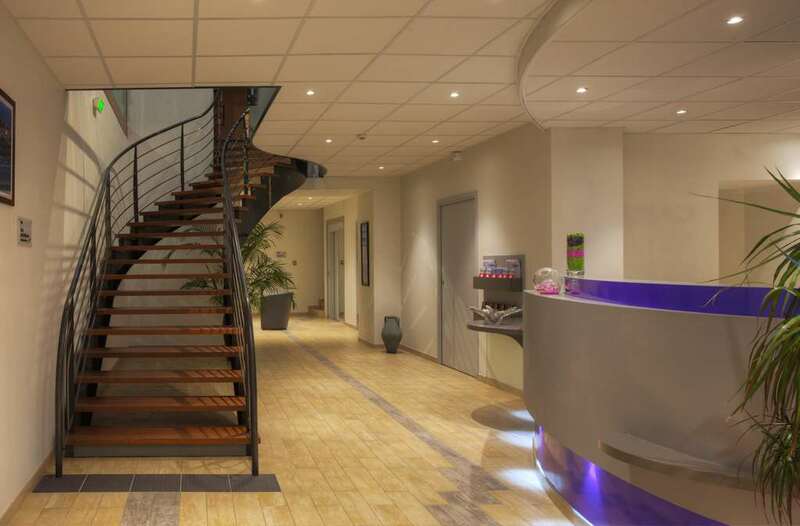 Our meeting room with artificial light is 592 sq. 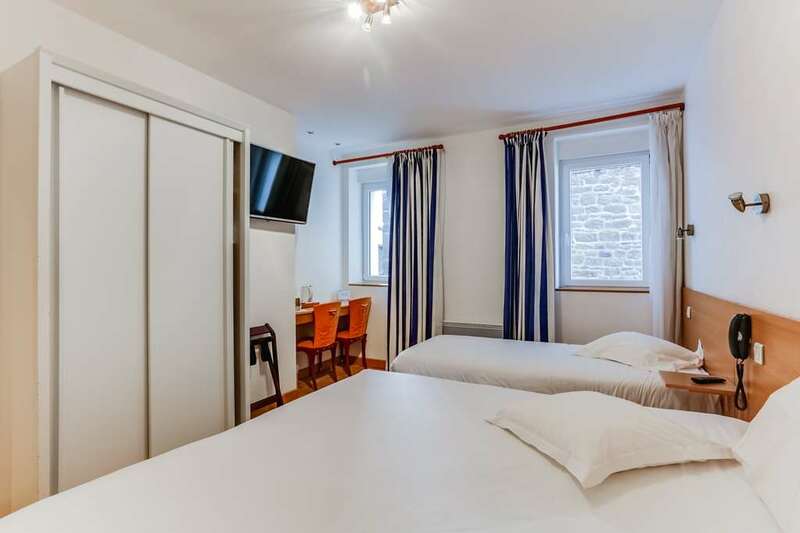 ft. and can accommodate up to 20 people. 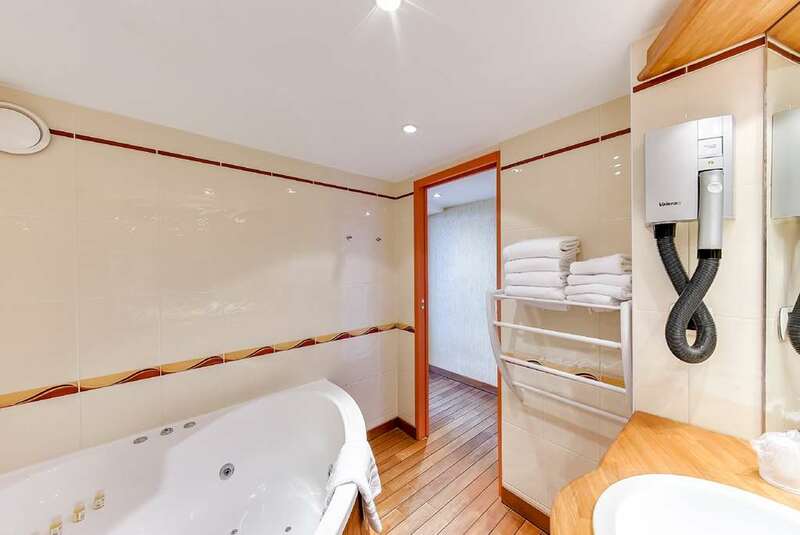 It's equipped with a flipchart and video projector, and free Wi-Fi connection.